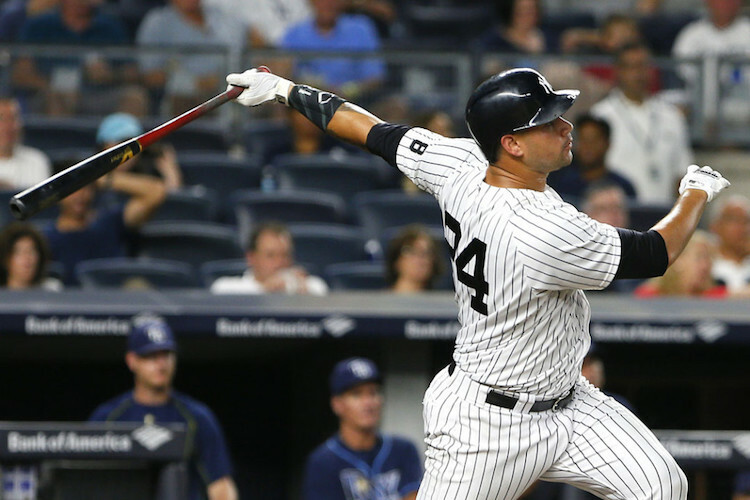 Gary Sanchez is the AL Rookie of the Year. Not Michael Fulmer. Gary Sanchez. And it’s not even close. In an ideal world, there would be one Rookie of the Year for pitching and one for hitting and then this wouldn’t be something to argue and I wouldn’t have to write this story. But this is baseball, where the All-Star Game determines home-field advantage in the World Series, the wild-card game turns a 162-game schedule into a nine-inning game and no one knows for sure what call is going to be made after every review. So complaining about an award that really only benefits the player who wins it, his family, his agent, his bank account and his team’s fans is his team had a bad season seems kind of pointless, unless you fall into one of those categories. For me, I’m a fan of a team that had a bad season and has a player in the AL Rookie of the Year conversation. When Sanchez got called up for good on Aug. 3, the Yankees were 53-53 and had just given up on the season by trading Andrew Miller, Carlos Beltran, Aroldis Chapman and Ivan Nova. (Ivan Nova really wasn’t part of them giving up, but he was in the majors and still is.) In return, they got an abundance of prospects and Adam Warren back as well as Tyler Clippard in a separate deal. The Yankees traded their best two pitchers, who very well might be the best two relievers in baseball, and their best hitter. They waved the white flag as aggressively as they could and turned to Sanchez to begin the top prospect showcase that Yankees fans had been waited for and what should have been started two or even three years ago. Sanchez gave Yankees fans meaningful baseball up until the final weekend of the season and climbed all the way back into the postseason to at one point trail in the wild-card standings by one game. This isn’t a knock on Michael Fulmer and it isn’t meant to take away from his season or say he had a bad season. He had a nice season, making 26 starts and going 11-7 with a 3.06 ERA and 1.119 WHIP. Those numbers are solid and good and all that, but they’re not historical like Sanchez’s are. Sanchez finished the season hitting .299/.376/.657 with 12 doubles, 20 home runs, 42 RBIs and a ridiculous 1.032 OPS. He tied Nomar Mazara for the most home runs by a rookie in the AL in 315 less at-bats, had three multi-home run games and homered in consecutive games seven times. He became the fastest player in history to 20 home runs (along with being the fastest to nearly all of the other home runs totals along the way), hit third in the Yankees’ lineup, forced Brian McCann to the bench and hopefully soon to Atlanta, and did all of this while mostly playing catcher. He made straightaway center at Fenway seem as close as the Pesky Pole, he made the seemingly-impossible-to-hit second deck in left field at Yankee Stadium look like the short porch in right and he turned Safeco Field into Camden Yards with three home runs in 11 at-bats in Seattle. He single-handedly saved the Yankees’ season for two months, turned a lost season into an eventful one with real promise for the future and made every one of his 229 plate appearances must-watch TV. The idea that Fulmer is more deserving of the award than Sanchez because he was in the majors longer and pitched a “full season” is as ridiculous as someone winning the Cy Young solely based on their wins total or someone winning MVP based on if their team reached the postseason or not. In a game now controlled by analytics, how is it possible that such archaic ways of thinking and reasoning can still be used to decide yearly awards.